Please add 2012 scheme btech first year exam 2015 exam? is there exist any semester clearance moderation??? sir, Is there any chance for mercy clearance for only one backpaper in btech? please,can i have 6th sem dsp qtn papers for the last 5 yrs of cse dept?? Can 2006-2010 (ie course completed in 2010/2010 passout) students write their btech exams after 2014 april? 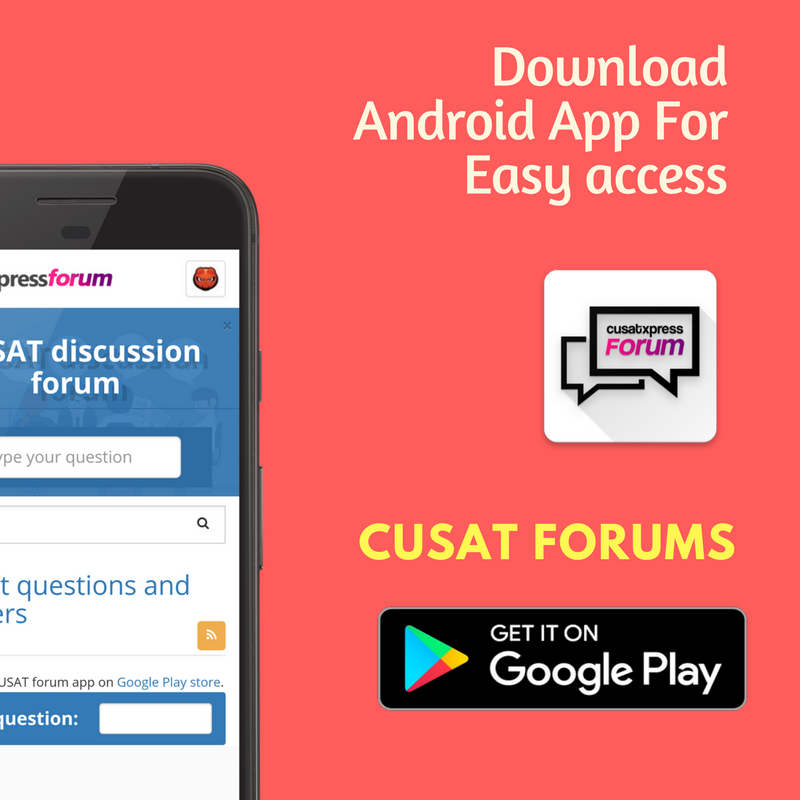 is cusat syllabus a tough one?? ?